Samsung Galalxy S5 is latest smartphone from the Samsung, if you recently bought the device or planning to buy it and want to move all your old iPhone or android contents to the new Galaxy S5. Here is the easy tutorial which you will follow on your device. There are so many ways which you can use to move all your old phone contents to the new device, but most of them are not so easy and take so much time. Samsung knows this, so it created a tool to help you transfer all your phone content to Galaxy S5. 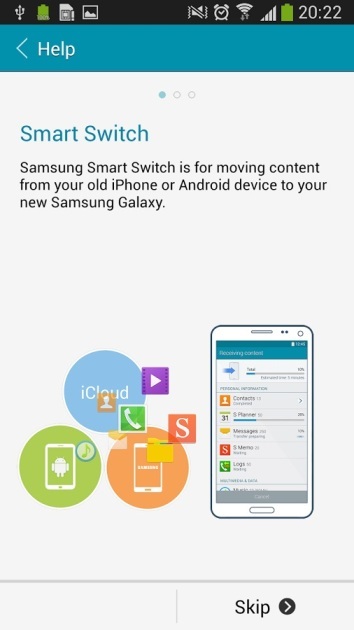 To get started all you need a free Samsung application called Samsung Smart Switch Mobile app from the Play Store. (This app works with any Galaxy device.) 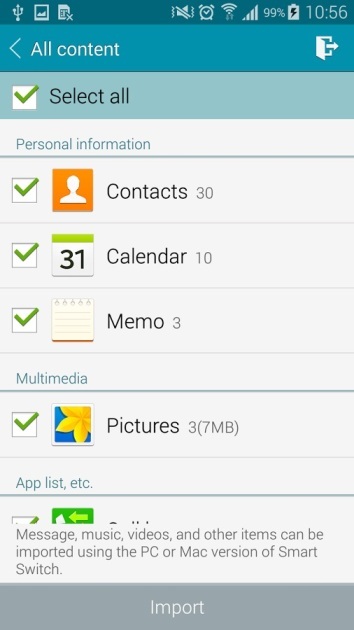 With the help of this free android app you can easily move contacts, photos, calendar, and other settings from your iPhone or any android to the new Galaxy S5. 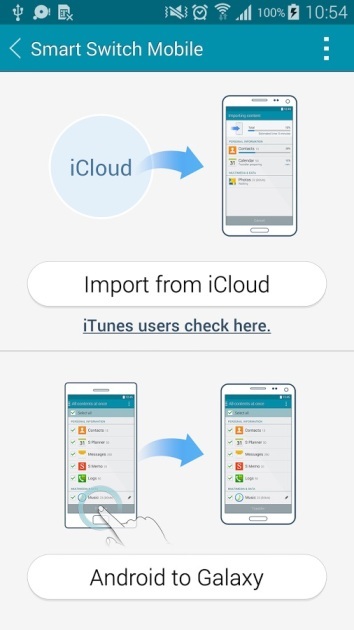 After launching the app, select iCloud if you are coming from the iPhone or select Android if you are coming from the old android device from the list of options. If you are an iPhone user then you have to enter your iCloud account credential like login ID and password to move the files. If you don’t want to share your iCloud detail then you can click on the “iTunes” option. 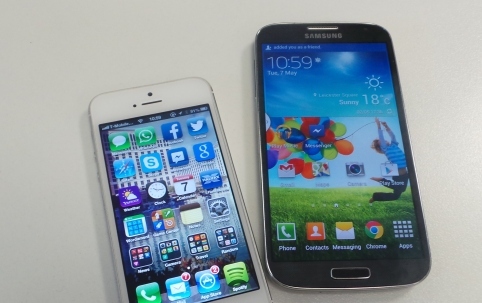 After Samsung verifies your account, you’ll see a list of recent backups for your iOS devices. Select the backup or content which you want to move on your new Galaxy S5 android smartphone, and wait for the information to populate. The process will take some time, depends on the connection speed, and size of the backup. Once the process is done you will all your old phone files on your new Galaxy S5.